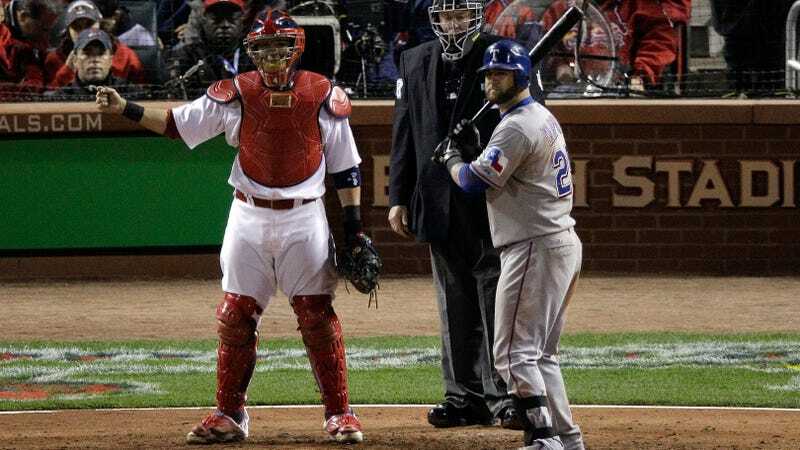 I know intentional walks don’t look like this anymore, but this is a pretty abstract blog so deal with it. A consistently reliable rule of baseball is that the closer your runners are to home plate, the better chance you have of scoring in a given inning. But what if this isn’t always true? Bear with me on this one. Direct your attention to the bottom right of the table, where you’ll see that, according to the data, a team has a better chance of scoring in an inning when they have runners on first and third with two outs than runners on second and third with two outs. This is weird and counterintuitive, right? One would think that the defensive team having a force out available at second with runners on first and third—as opposed to no force outs besides first base when guys are on second and third—would help the fielders keep runs off the board. Or, at the very least, that there wouldn’t be a difference. But nah. The total expected runs scored in an inning are higher in the second/third two-outs situation, which makes sense. But consistently, across every run expectancy matrix I’ve looked at, the chances of scoring zero runs with two outs in an inning are higher with second and third than first and third. When the goal for the team that’s pitching isn’t so much to keep the number of runs allowed minimized but just to avoid one guy crossing the plate—usually in a tied late-inning situation—the intentional walk to load the bases can be a viable option. And because those IBBs are so much more common when two runners are in scoring position, it then follows that the chance of zero runs scoring in that situation is slightly higher. What we can draw out of this little journey is that there’s nothing inherently statistically advantageous about having guys on the corners, as opposed to guys on second and third, when trying to score a run. So this isn’t revolutionizing baseball strategy. But we also learn (as if we didn’t know before) that baseball managers can think in some infuriatingly goofy ways. The result of an intentional walk with two guys on base, no matter where they’re stationed, is the same—bases loaded, weaker hitter at the plate. Still, something about the psychology of an “open base”—or perhaps the existing force out already at second—seems to make it more attractive to managers to call the IBB when it’s second and third with two outs, instead of moving a runner over from first to second. That’s not a rational strategy, but it does create a small, interesting weirdness. And if the previous sentence doesn’t perfectly describe what the majority of managers do, I’m not sure what does.